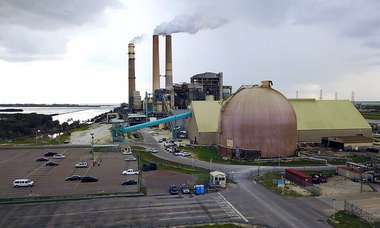 “Climate change and the regulation of greenhouse gases could have a negative impact on our business,” says a recent filing by a company held by the governor's blind trust in 2014. The most vivid snapshot yet of what has made Rick Scott the wealthiest governor in Florida history will be released next month when he must reveal to voters what makes up his net worth. Required as part of Scott's U.S. Senate candidacy, the much-anticipated disclosure has some environmental groups and Democrats ready to raise questions about whether Scott's personal holdings in the energy industry have helped steer Florida's policy on climate change. "It seems pretty obvious he's making decisions that will benefit companies in which he has an interest," said Susan Glickman of the Southern Alliance for Clean Energy, a group that supported a lawsuit filed against Scott and his administration in April to demand a science-based climate recovery plan and to acknowledge the reality of climate change. Even the words "climate change" became a flashpoint for Scott's administration three years ago when a report by the Florida Center for Investigative Reporting gained national attention by revealing that the term vanished from dozens of official documents and that state employees claimed they were forbidden from uttering the phrase. Scott and state agency heads denied the existence of a policy that barred use of the words. But a recent review of regulatory filings with the U.S. Securities and Exchange Commission by the Times/Herald Tallahassee Bureau shows a clear aversion to regulating greenhouse gases among companies that made up Scott's portfolio the last time it was disclosed four years ago. "Climate change and the regulation of greenhouse gases could have a negative impact on our business," London-based Seadrill Partners wrote in an SEC filing in April. Scott listed an investment of $325,066 in the company in 2014. The petroleum giant Phillips 66, in which Scott showed a 2014 stake of $528,032, said in an SEC filing last year that "climate change legislation or regulation could result in increased operating costs and reduced demand for the refined products we produce." Scott held $14.7 million in stock in 2014 in Argan Inc., a Maryland holding company in power generation and renewable energy fields. In April, Argan told the SEC: "We may be affected by regulatory responses to the fear of climate change." About two dozen other firms in Scott's portfolio expressed similar concerns. Those energy-related companies accounted for nearly one-sixth of Scott's net worth of $132.7 million in 2014, or about $20 million. Scott's lawyers have said that the governor has "no control over or foreknowledge of any decisions regarding investments," according to a 2011 state Commission on Ethics opinion that approved creation of a qualified blind trust as a firewall against potential conflicts of interest. So-called blind trusts are supposed to shield office-holders from controlling or observing their investments, preventing them from enriching themselves by making policy decisions that will benefit personal holdings. According to the Senate Ethics Committee web site, a candidate with a blind trust is required to choose a trustee who is "completely independent" and "should not be a current or former investment advisor, partner, accountant, attorney, relative or any other similarly situated individual." But some critics say blind trusts hinder the public's ability to understand how the office holder's net worth changes from year to year, an argument that seems to be losing traction even among Democrats. On Monday, the Democratic former mayor Philip Levine of Miami Beach announced he would put his holdings in a blind trust if elected governor, a move that he said would allow him to govern without conflicts. But blind trusts make it hard to discern what exactly is netting growth in wealth. For instance, when Scott disclosed a net worth of $149.3 million as of Dec. 31, 2016, including $130 million in the Gov. Richard L. Scott Qualified Blind Trust, what wasn't disclosed were the specific investments in the blind trust. Scott, 65, amassed a fortune as the CEO of Columbia/HCA, the nation's largest for-profit hospital chain. His investment portfolio is managed by Alan Bazaar, a New York advisor, who for more than a decade was a business associate of the governor at Richard L. Scott Investments. Bazaar's firm, Hollow Brook Wealth Management, did not respond to a request for comment. In response to written questions from the Times/Herald, Scott's campaign said his "stance has not changed," that the trust is managed by a third party to shield investments from his direct control. Scott's campaign did not respond to a request for an interview. His lawyers said in the 2011 ethics opinion that Scott "will not even know after the fact what transactions have occurred." But Glickman is skeptical. As a U.S. senator, Scott will wield more power to grow his wealth, she said. "He'll be making votes that could help the investments in his own blind trust," she said. "No one is that blind." 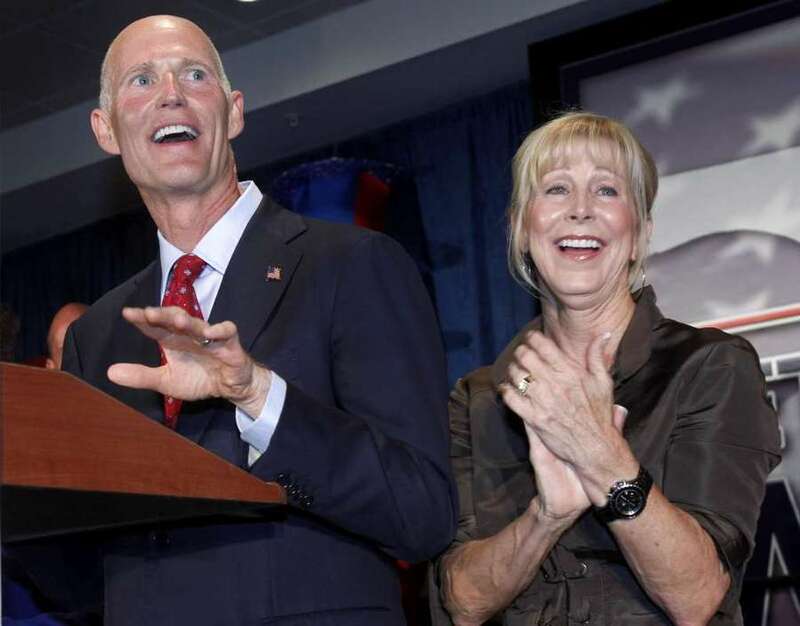 As a Senate candidate, Scott must again disclose his finances and those of his wife, First Lady Ann Scott, which are not required under Florida's financial disclosure law, but are required under federal rules that apply to the U.S. Senate. He requested an extension of time until July 29 to file the necessary paperwork. 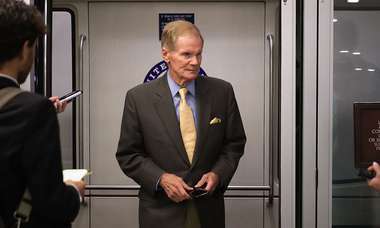 His rival, Democratic Sen. Bill Nelson, released his financial disclosure last month and has been trying to make climate change a campaign issue. So have environmentalists concerned about warming sea temperatures. "Scott came into office as a climate change denier. He said he's not a scientist. He's done nothing to address the problem," said Frank Jackalone, director of Sierra Club Florida. "He's hands-on in the middle of a hurricane, but he's not addressing the causes of what makes those hurricanes stronger." In response to criticism that Scott has been indifferent to climate change, his office has said that the new $88.7 billion state budget he signed in March includes $4 billion for environmental programs, including Everglades restoration, land preservation and repairs to the Herbert Hoover Dike at Lake Okeechobee. But Scott has made no secret of his support of President Donald Trump's decision to pull out of a worldwide Paris climate change accord. Scott's refusal to talk about the subject of climate change infuriates some environmentalists. In a recent visit to Key West on hurricane preparedness, Scott sidestepped a reporter's question about whether climate change played a role in recent storms in Florida and instead emphasized beach restoration and flood control. "Here's what I know," Scott said. "In my job, I've got to be very results oriented." "People in Miami can look out their window and see climate change happening," said Craig Auster, who runs a political action committee for the League of Conservation Voters, a group that supports Nelson. Scott's blind trust was a target of three ethics complaints last year by Donald Hinkle, a Tallahassee lawyer and Democratic fund-raiser who accused Scott of violating the state financial disclosure law by not disclosing the underlying assets in the trust. The Commission on Ethics dismissed the complaints, citing a lack of legal sufficiency. Hinkle filed a lawsuit against Scott last year in an effort to force him to disclose all of the underlying assets in his blind trust. Scott's office dismissed Hinkle's lawsuit as "a publicity stunt" and Scott sought to have the case dismissed, to no avail. The First District Court of Appeal will hear arguments in the case on July 17.